Yesterday morning, I got a call from Oresta. She told me that she had read my article in the Centretown Buzz and wanted to reach out to me. Even though I love her store and spa (I asked for gift certificates for Christmas last year), I was not on her mailing list and had not received the letter that I posted above. products. We believe in beauty without compromising your health. 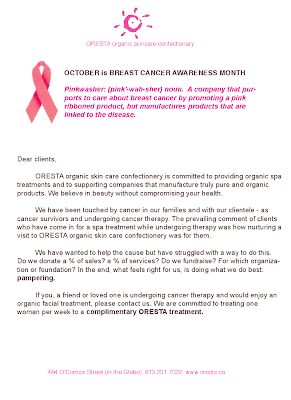 visit to ORESTA organic skin care confectionery was for them. We have wanted to help the cause but have struggled with a way to do this. woman per week to a complimentary ORESTA treatment. Oresta was calling to offer me a facial (I am going on Friday) but I offered to blog about this offer. She asked me to clarify that she and her staff will be offering this service to women undergoing treatment throughout the year - not just during October. I am impressed and touched beyong words. Have any of you ever heard of anyone else doing this? I told my spouse that, by coincidence, I had written in journal that morning that I would really like a facial. He said, "Tomorrow, could you write that you would really like a home renovation?" As someone in ongoing chemotherapy, I have a compromised immune system. This puts me at increased risk for contracting H1N1. I am among the priority groups established by the City of Ottawa, as is my family, and were it not for the hours long lineups (several centres closed the lineups by late afternoon), I would have had my shot yesterday. I did call the oncologist yesterday to ask about interactions between Neupogen (the drug I take after chemo to boost my white blood cell count and fight infection). When I didn't hear back immediately I checked with the cancer centre receptionist who, told me (after checking with someone) that I should go ahead and get the shot. Today, the nurse who works with my oncologist called and told me to wait. Chemotherapy suppresses the immune system. The flu shot is meant to boost it. Having the H1N1 shot (or any other flu vaccine) too close to chemotherapy lessens the effectiveness of the shot. Those of us getting chemo are instructed to wait to the end of the chemo cycle, get our bloodwork done (to ensure that our counts are high enough) and then get the shot the day before the next round of chemo. This means that I will be waiting until November 10 for my H1N1 vaccine. And washing my hands. A lot. Thanks to everyone who came to the Toronto launch last night. My face hurts from smiling and my heart is so full it could burst. And the bookstore sold out the books. I'm off to Toronto today to celebrate my book! If you're in town, come see me at the Toronto Women's Bookstore. We'll have a little nosh, a little drink, I'll read from the book...I think it will be a nice evening. Meanwhile, here's a link to a blog called "Incredible Women," where I am honoured to say that I am being featured today. I am featured on a blog called "Women at Forty" today. When I was aked to submit a post, I thought it would be appropriate to re-visit a post I wrote on the eve of my fortieth birthday. I'm looking forward to writing my fiftieth birthday post. Only eight more years and countless clean scans to go. "Three years ago, I saw a story on the news while I was at the gym. An investigative feature on the breast cancer awareness contributions that various corporations pledged during Breast Cancer Awareness Month found that most of these promotions led to increased sales and windfall profits that dwarfed the piddling donations that the extra sales generated. Until that moment, I was gung-ho about buying products marked with pink ribbons." And so begins the best article I have ever read on the subject of the pink-washing of October (and not just because the author says you should all go out and buy my book). Suzanne Reisman hits all the bases in this piece and does it with eloquence and a sense of humour. If you have ever struggled to understand why some of us object to pinxploitation (I just made that word up), your questions will be answered. Last week, the Centretown Buzz (an Ottawa community paper) asked me to write the article that "I wish I could have read when I was first diagnosed." 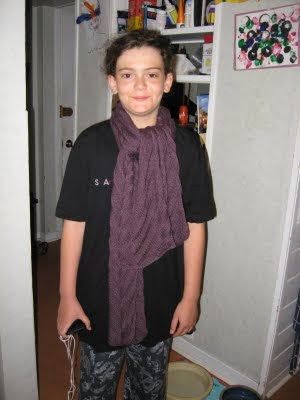 On December 1st, 2005, I found a lump in my breast, as I was getting undressed. One month later, I was diagnosed with breast cancer. I was 38 years old, with two young kids and a very hectic life. I felt completely blind-sided. Almost four years later, and with the benefit of hindsight, I share some advice for others who find themselves in my situation. Bring someone with you to appointments, especially in the beginning. Be nice to the admin staff and nurses. The entire article is online, so you can read it for yourself. Let me know what you think. And if you've been there, please don't hesitate to share some of your hard-earned experience. Just a reminder to anyone who lives in Toronto or anywhere nearby or who would like to visit Toronto that my book party (postponed in June because of the flu) has been re-scheduled for October 22, from 7-9 pm. I have been washing my hands lots and lots so that this overdue celebration can happen. 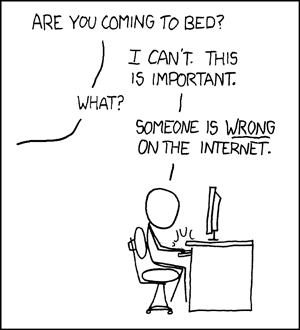 Also, I have been getting lots of interesting comments and messages in answer to my post on internet community. It's not too late to jump into the discussion. I just got back from riding my bike to and from the hospital to have blood work done. It's pretty cold out there (3C or 37.5F), so I was feeling pretty tough - like a real cyclist with frozen fingertips. When I came to the big hill just before the hospital, I passed a man riding on the sidewalk. "it's pretty steep," he said, as I edged past. "It is," I laughed. I admit that I was feeling pretty smug. Then he took the wind out of my sails. "At 85 years old, it keeps getting a little harder." When we reached the top of the hill, we had to stop at the lights. He kept chatting, while I had to gulp for air before I could respond. When the lights turned green, he sailed past me, seemingly fully recovered from the climb. Maybe I need more air in my tires. Yeah, that's it. Or maybe I need to tackle that hill more often. Boy, am I dopey today. We had our Thanksgiving dinner last night - turkey, mashed potatoes and stuffing (probably the best I have ever had) smothered in gravy. A beautiful salad with a basil and feta dressing. Lots of wine. And Guinness chocolate cake, pumpkin pie, whipped cream, ice cream and chocolate sauce for dessert (I don't think anybody actually had all of those things). And a truly lovely group of people. Today, I am trying to make notes for a presentation I am giving on Thursday. I need to talk about my transformation from individual cancer patient to a member of a vibrant and supportive community. I had lots of thoughts about this on the week end, when I really didn't have time to write them down. Today, my brain seems to have been replaced with mashed potatoes and gravy (Mmm. Leftovers). It's an interesting question, though. My online community (which consists of folks I have met in real life and others I probably will only ever know online) has been a key source of information and support over the years. So, help me out here. What role does your online community play in your life? How did you come to build these virtual relationships? Does the internet help sustain relationships with friends? I'm not asking you to do my work for me (really, I swear). I'm just curious how you react to the words "network" and "community" and how they apply to your online life. I have decided that I won't be doing NaBloPoMo this year. My heart just isn't in it. This is in part because two of my NaBlo compadres have died. It just won't be the same without Sara and Emily. I miss their voices so much and I just don't feel like blogging every day without them at my virtual side. But November can be a hard month for me and I still need something to distract and consume me. I also need motivation to return to the scary (for me) world of fiction writing. I got so much done during my online writing course last year but have done nothing since submitting my outline for a novel, as my final assignment on December 31. 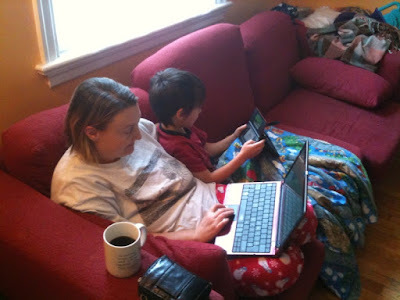 A few weeks ago Rachael suggested to Zoom that she try NaNoWriMo. And that got me thinking. If structure is what I need and my inner critic is my worst enemy then what better solution than to crank out 50,000 words in 30 days? They don't even have to be good words (what matters with Nano is quantity over quality). And before I know it, November will be over and I will have a whole bunch of words on paper. Sounds like fun, right? Right? S. is joining me, as part of the NaNo Young Writers' Program. I'm very pleased. 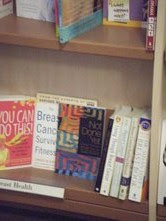 Last week, I saw my book on the shelf at Chapters. I had walked in the back door of the store on Rideau Street, which leads straight into the health section. And there it was - or rather there they were. Three copies of my book just sitting on a shelf in a book store. It was a thrill to see it there. I had to call my spouse right away to tell him. I had to go back to the same Chapters three days later (I had left my glasses in the store). I couldn't help going back to visit my book. There were only two copies left! They had sold one! I took a couple of steps away and then went back to pull a copy out so that the title page faced towards the front. My heart still belongs to independent book stores, though. They are owned by booklovers, have knowledgeable staff and are the most supportive of writers. If you can buy my book through your local independent, I strongly encourage it. And if your local bookstore carries my book, let me know. I'll put their logo and a link in my sidebar. 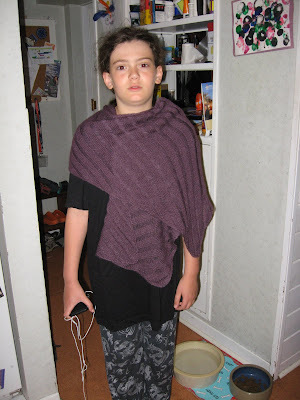 I am quoted in a recent BlogHer article by web teacher Virginia DeBolt. Her post, "Self-Promote Your Book Using The Internet" has some really interesting ideas. I had never thought of doing a book trailer, for example. Of course, I still need to write content for the book's web site. 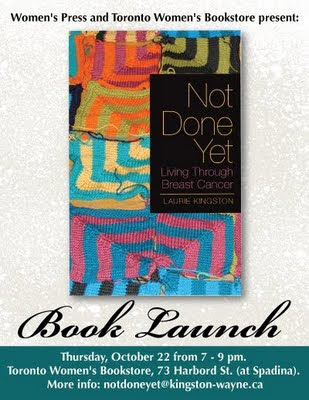 I also want to remind those of you in Toronto that the Not Done Yet launch will take place at the Toronto Women's Bookstore (73 Harbord, near Spadina) on October 22 from 7-9pm. I had to turn on the heat today. 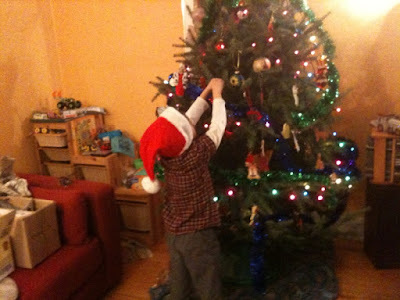 I was hoping to wait until later in the month but the temperature dropped to 12C (53.6) inside the house. Late last week, I became convinced that something had crawled into our chimney or heating ducts and died. We have since had both cleaned. No dead thing was found but the smell is gone, too. I've been watching more television lately than I have in years (when I could go weeks without watching television). I have become hooked on So You Think You Can Dance (US and Canadian versions) and Glee. I also have just discovered House. I've clearly been missing out on something good, there. After yesterday's grumpy post, I want to say that I think there are lots of groups out there doing good work on behalf of cancer patients. I like Breast Cancer Action (although some chapters are better than others), the Canadian Breast Cancer Network, Living Beyond Breast Cancer and the Young Survival Coalition (they are behind the Annual Conference For Young Women Affected By Breast Cancer). Can you suggest others? I also like to support my local cancer centre. I felt torn about this, as I believe that it's government's job to fund hospitals (through my tax dollars) but as a consumer, I know how many services are desperately needed. I had a wonderful four day visit with my friend, K. We spent every waking moment together and still the visit felt too short. We were room-mates at Pearson College (K. is from the Netherlands). I nearly fell over when she pointed out that we met 25 years ago this month. I realized when I was with K. that it was really important to me that she she appreciate all the things that I love about Ottawa. My heart soared when we were walking along Richmond Street in the rain and she announced how much she likes it here. We hung out in the Glebe, Westboro and the Byward Market. We went walking in Gatineau Park. We visited Kingsmere. I had never been there. I loved the purple prose describing the property, the ruins and Mackenzie King himself. I also found it amusing that while we were informed of the fact that he was Canada's longest serving Prime Minister, there was no mention of the fact that he was completely bonkers. Where do you like to bring friends who visit your home town?